The cons: This place gets really busy on the weekends! 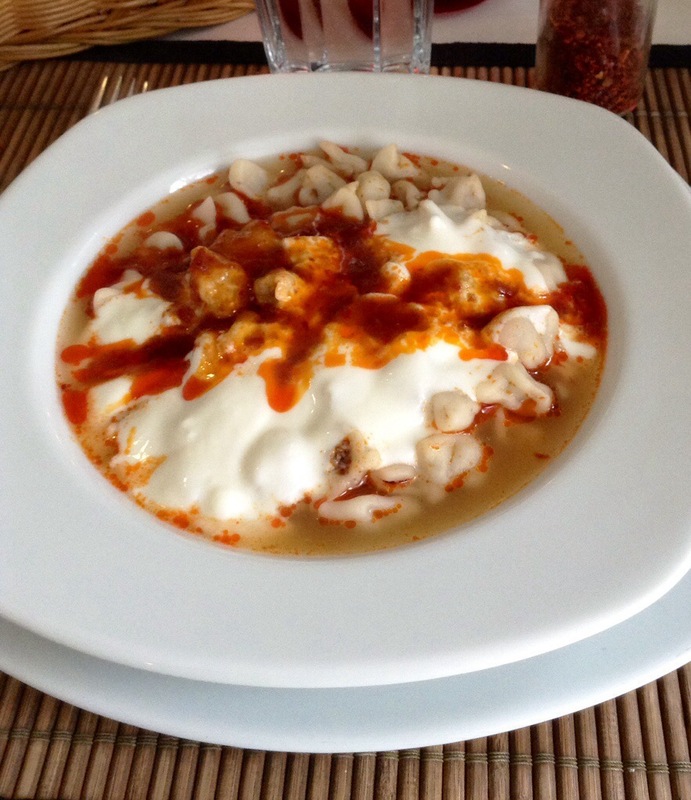 Ekspres İnegöl Köftecisi is not a tourist destination but it is the perfect place for everyone else – families with kids and grandparents in tow, students on a budget, and locals looking for a quick and tasty fill. I was first introduced to this restaurant as a student at Sabanci University when I was a frequent visitor to Kadıköy on the weekends. Since then, the place has gotten a face lift and the food is just as tasty as ever. 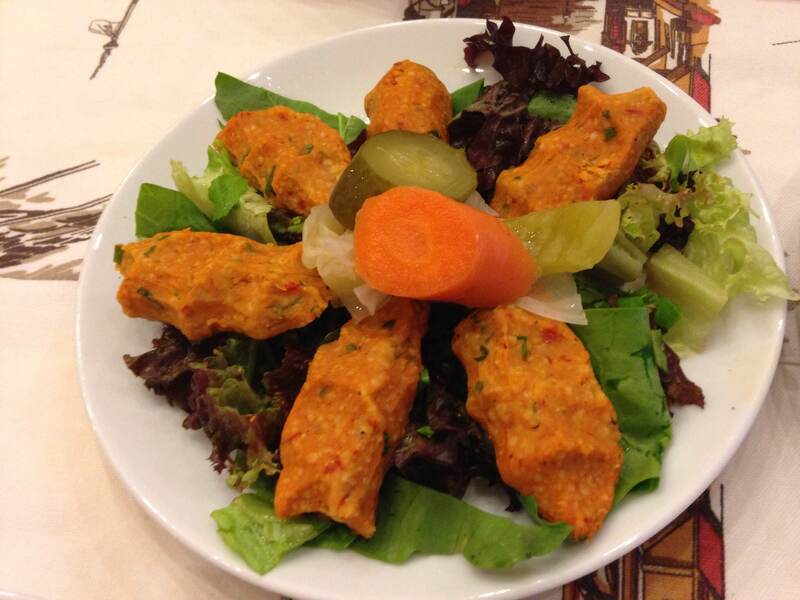 My recommendation is to try the İnegöl köfte, a special type of meatball originating in İnegöl (Bursa). A portion comes with a generous helping of fries and a spicy sauce on the side. 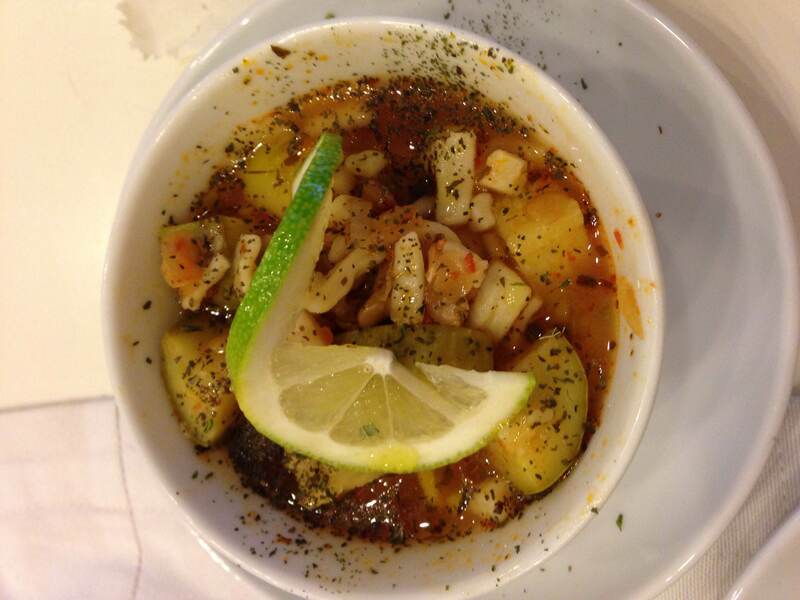 I always get the piyaz (bean salad in olive oil) as well. 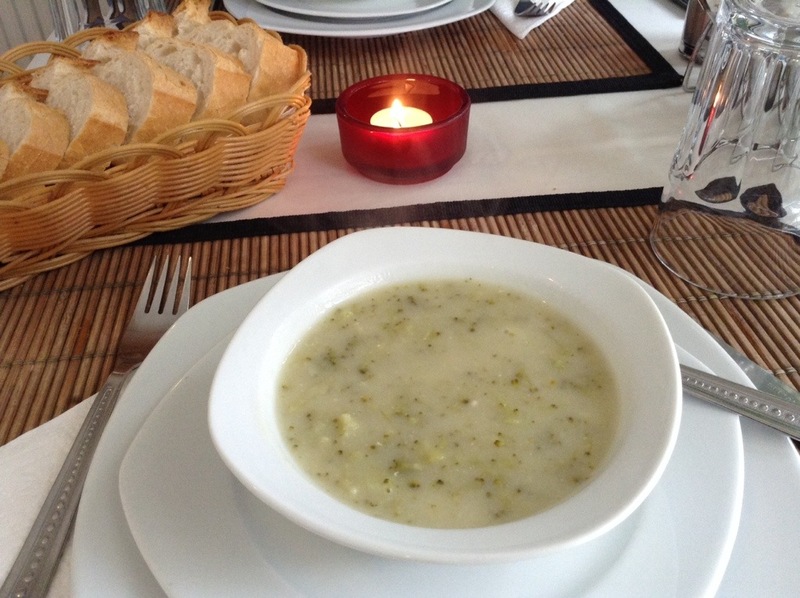 It’s a perfect appetizer to share and I think Ekspres İnegöl Köftecisi’s piyaz beats out any contenders. The service at Ekspres İnegöl Köftecisi is quick (I mean, really quick), so don’t be surprised if your food comes before you’ve even finished ordering it. At the counter, the waiters prepare the dishes assembly line-style and most customers order the meatballs so they’ve got this down to a science. 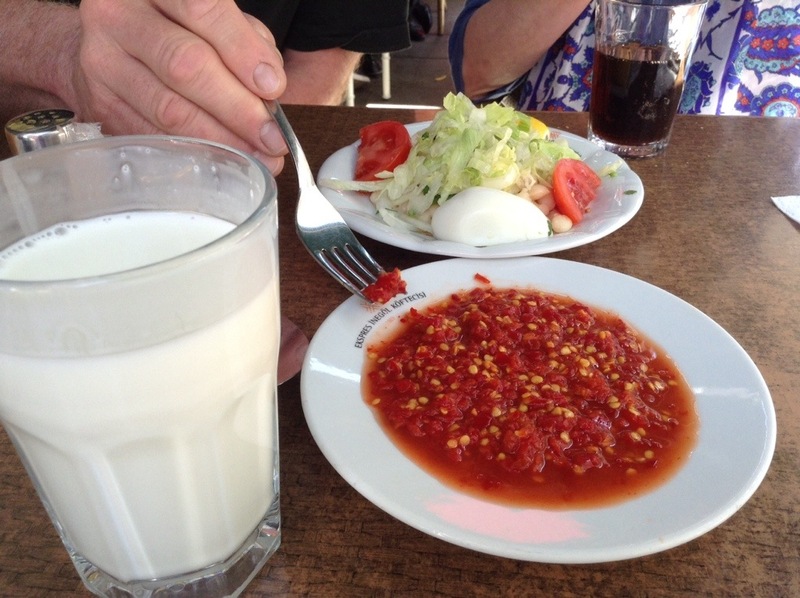 On the other hand, the restaurant can get really busy on the weekends with families, and during those times, you might have to remind the waiter once or twice to bring you that ayran you ordered. If you’re lucky, you can snag one of the few tables set up outside the restaurant. If the weather is nice, it’s the perfect place to enjoy your meal and do a bit of people-watching. 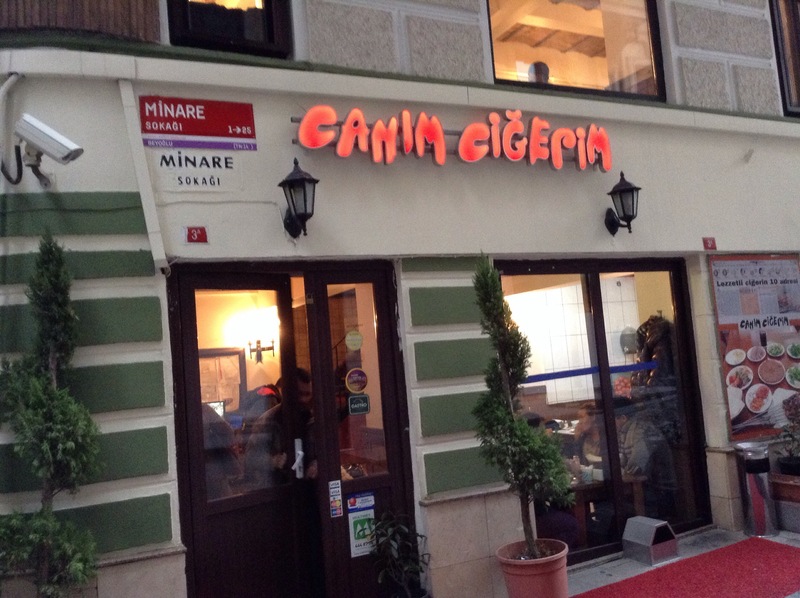 I brought my parents here when they were visiting Istanbul, and we waited for a few minutes to get a table outside – it was definitely worth it! The restaurant also has a pick-up window right inside the front door. For only 6 TL you can get a half-bread meatball sandwich (12 TL for the full sandwich). Friends and I recently picked up sandwiches to-go and took them to the Caddebostan seaside where we enjoyed them sitting by the water. 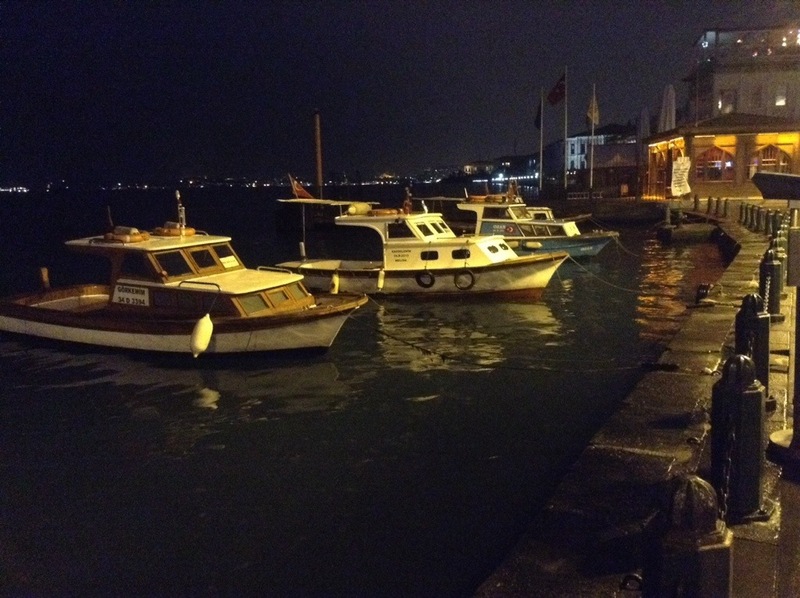 How to get there: From Europe, take a ferry to Kadıköy. 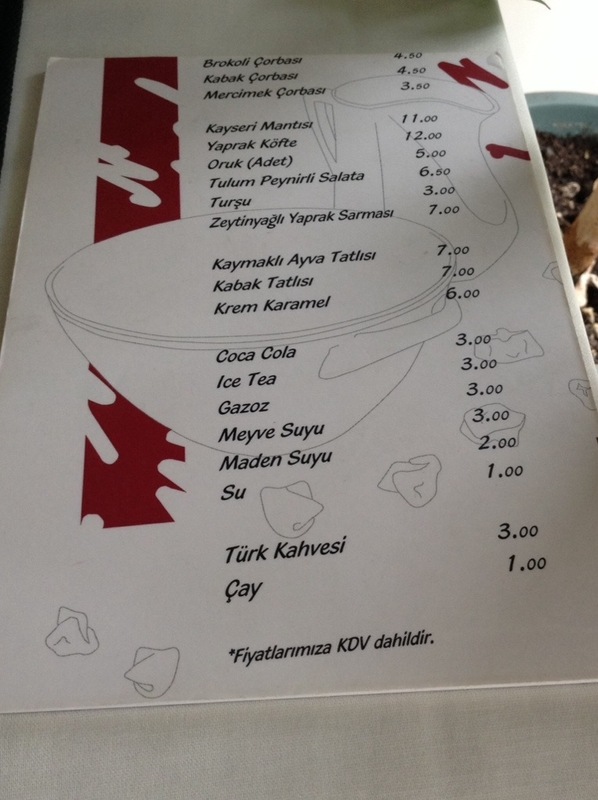 At the iskele, cross Rihtim Caddesi and head towards the Starbucks on your right hand side (near Bambi). Ekspres İnegöl Köftecisi is a couple store fronts up from the corner Starbucks. You know you’ve grown accustomed to life in Turkey when you can’t imagine starting your weekend without a large Turkish breakfast. You stock up on all the goods at your local bazaar and invite friends over so it can be enjoyed by all. Custom has it that your guests will reciprocate and host you for breakfast in the future. 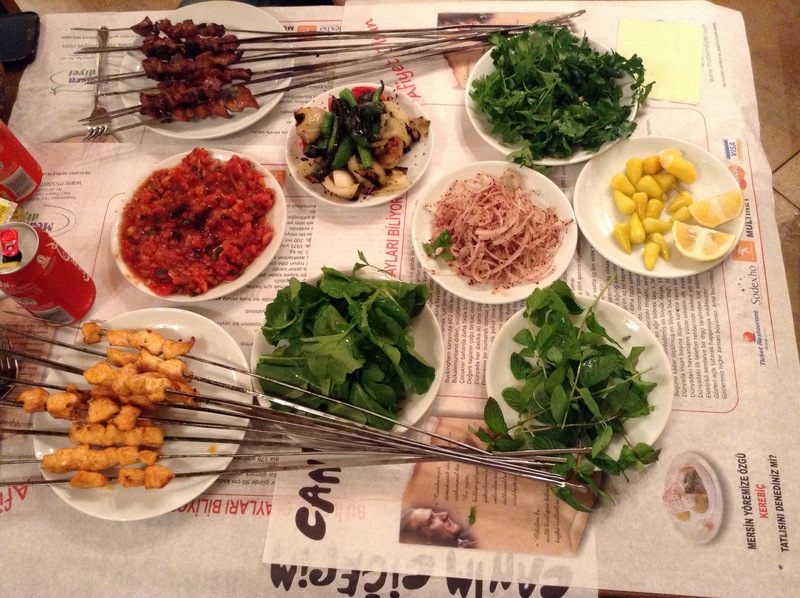 One of my Turkish breakfast rules is that it should be enjoyed at home not at a restaurant. I refrain from eating breakfast out because 1) it’s almost never worth the price and 2) the taste and quality just isn’t as good as a breakfast prepared at home especially if you live with friends like I do whose parents are always sending goodies from their hometowns. 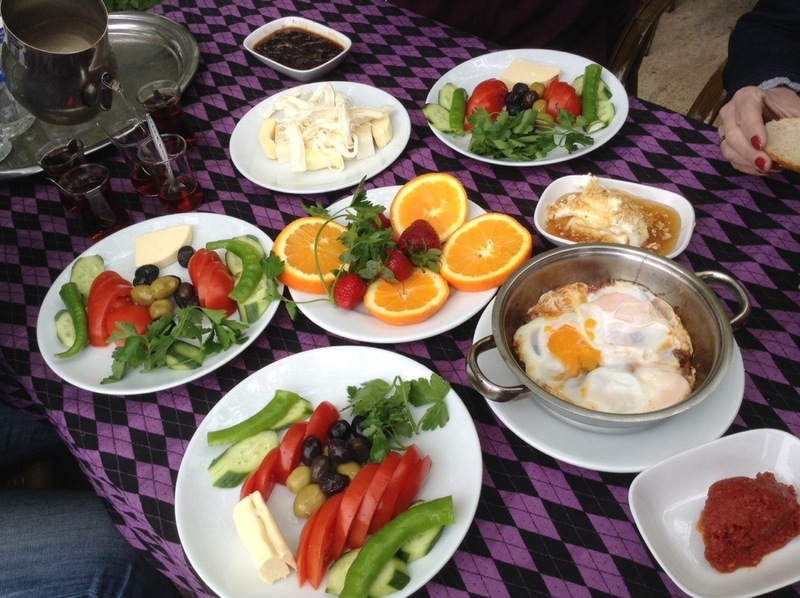 There is, however, one exception to the no-breakfast out rule, and that is breakfast under the historical Cinar Tree in Bursa’s Inkaya village. 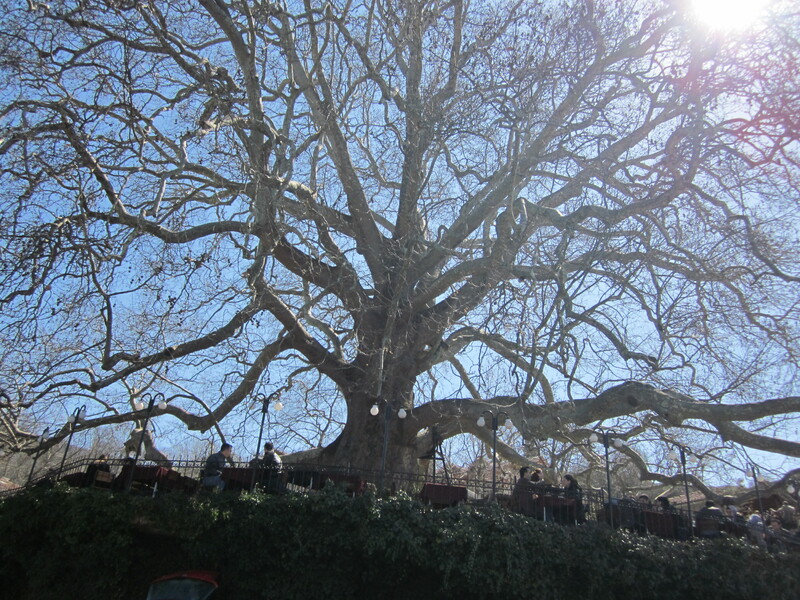 The Cinar Tree (English: Plane Tree) itself is a destination – the tree’s plaque says it’s 600 years old and it’s so large that it requires metal supports to hold up its branches in some places. Busloads of Turkish tourists and schoolchildren are always milling around, taking group pictures, and snacking on gozleme under the tree. The breakfasts are large and one breakfast is plenty for two people (order one and ask for service for two). Each breakfast comes with a caydanlik of tea, a hardboiled egg, a variety of cheeses, butter, cucumbers, tomatoes, olives, kaymak with honey and walnuts, kahvalti saltca (a spread of tomato paste, walnuts, garlic and olive oil), jam, seasonal fruit, and of course, a basket of bread. 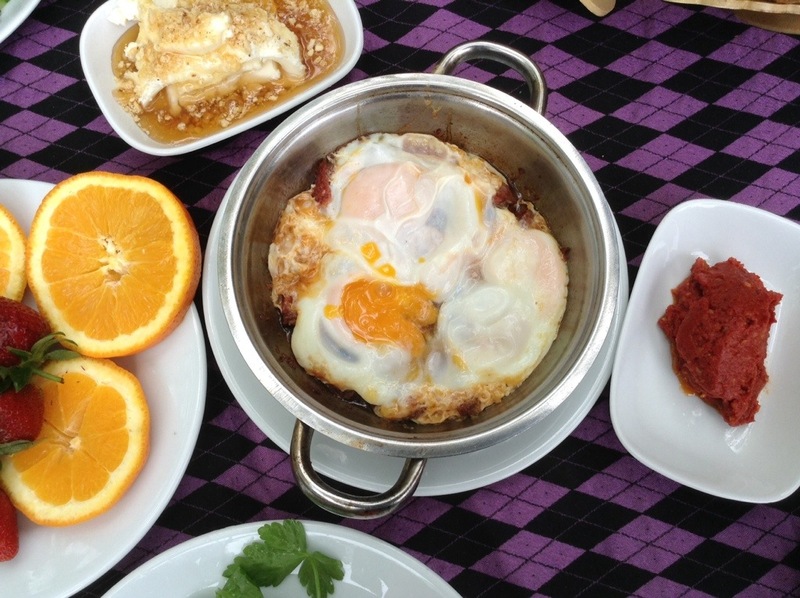 With a group of people, I like to order the village-style eggs with sucuk (spicy pork-less sausage) as well. 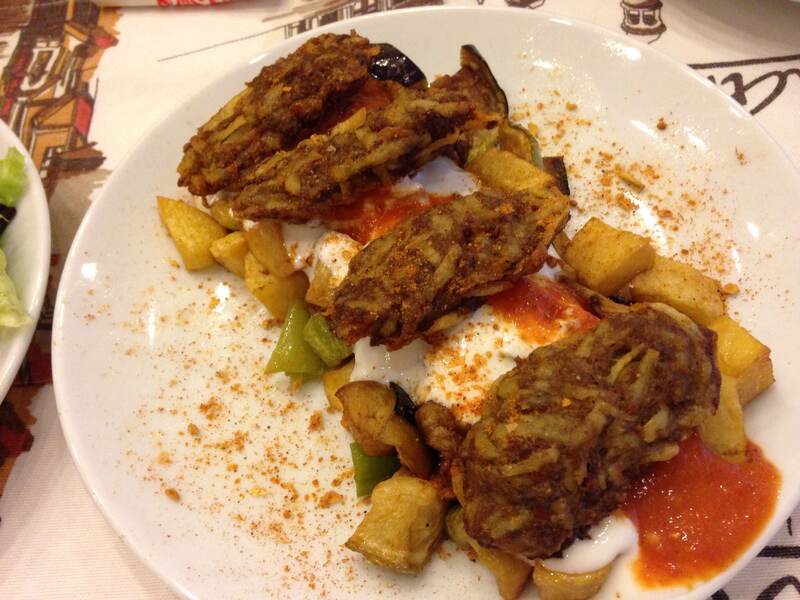 The eggs come runny and the sucuk is high quality. After breakfast, I always end up in the restaurant’s kitchen where I like to fill up my jars from home with the restaurant’s kahvalti salca. Although it’s easy to find in Istanbul, I haven’t found anything comparable to the kahvalti saltca served at the Cinar Tree. 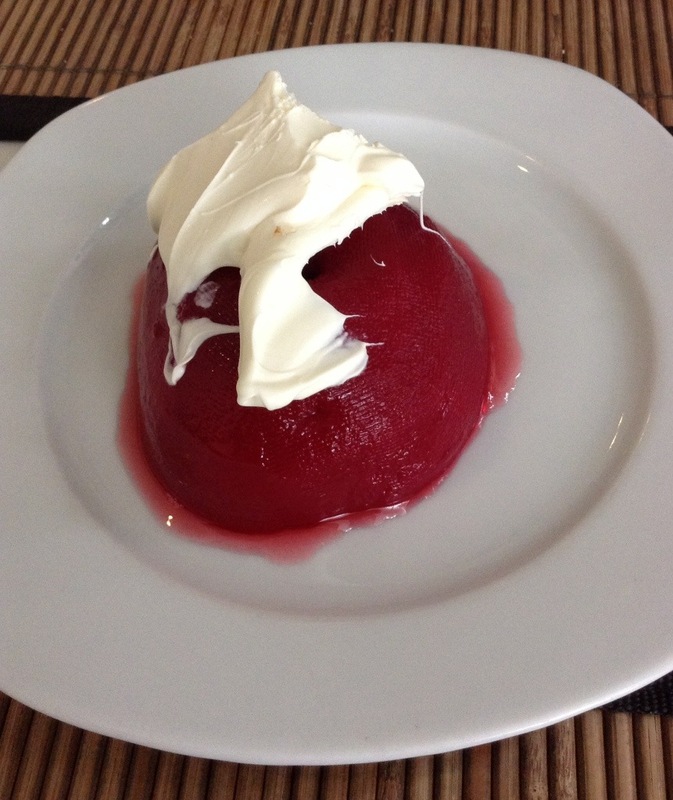 You can also fill up on jam, and the restaurant’s quince jam is especially good. Don’t forget to snap some pictures in front of the tree and check out the nearby stands selling fresh fruit and souvenirs including reasonably-priced Iznik dishes. If the day is young (and it should be if you are having breakfast! ), you can continue up the mountain road for a day at Uludag Mountain. Skiing and sledding in the winter, picnics and hiking in the summer. Otherwise, head back downtown via Tophane and continue your village adventures at the historic Cumalikizik vilage. How to get to Cinar: It is possible to get there by bus from Altiparmak in the city center, but the bus runs infrequently (only once an hour) so you must rush through breakfast or plan on sticking around for a couple of hours. My recommendation is to take a car (we tend to rent a car for our weekends in Bursa). The morning will be much more relaxing and enjoyable and you can stick around for a cup of Turkish coffee. For the most part, Ortakoy’s jewelry and souvenir stands had been packed up for the day and the throngs of people that you usually find there were non-existent. It was unbelievably quiet and peaceful. 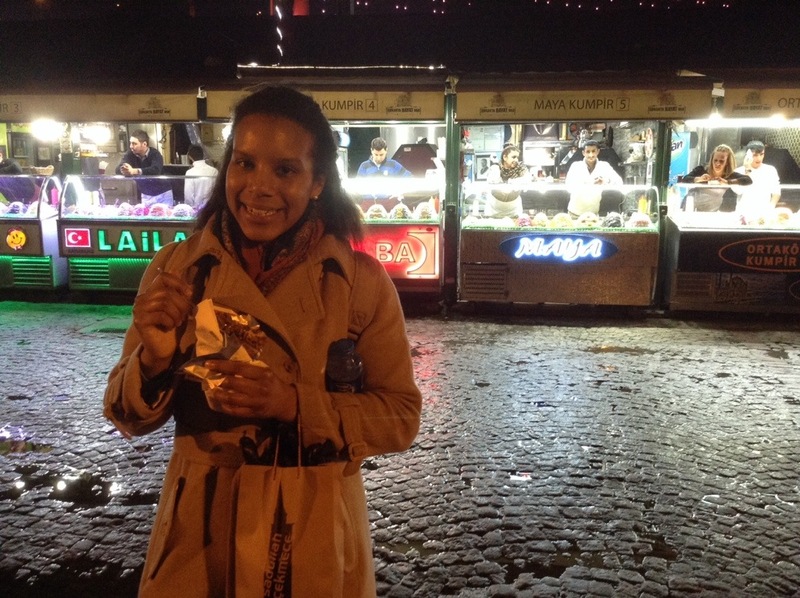 We stopped at kumpir stand #6 which is the one we always go to in Ortakoy. As usual, the lady told us that if we were still hungry after the first kumpir, the second one was on the house. Yeah, right. One kumpir is enough to put me in a food coma – I can’t imagine what two would feel like. My favorite toppings are kisir (bulgur salad), corn, haydari (yogurt with herbs), and extra kasar cheese, and on this particular night, the man making the kumpir was particularly generous. For those of who you don’t know kumpir, there are plenty of other toppings to chose from such as: olives, spicy ezme spread, pickles, Russian salad (a sort of pasta salad), etc. When it comes to kumpir, the possibilities are endless. 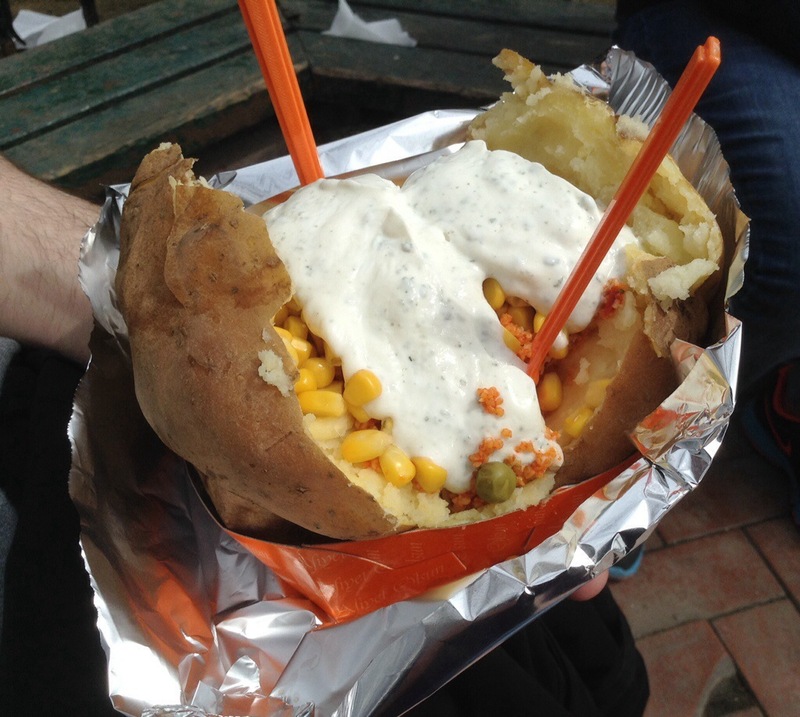 They are also fun and easy to make at home if you can get by with only preparing a few toppings (with a big group, that might be difficult) The main difference with an American-style baked potato is the sheer variety of toppings and the way the kumpirci mixes in the butter and kasar cheese before adding the toppings. Despite being full after kumpir, we had designated it a street food sort of night so the eating continued. Next up were waffles with hazelnut spread/Nutella/strawberries/bananas/nuts for Olivia and Gurkan while I dreamed about midye dolma (mussels stuffed with rice). Before heading back to our neighborhood, I talked the others into a few rounds of midye dolma in Besiktas, and by the time we made it home, we were cold and wet, but had very full stomachs. Olivia enjoys a waffle in front of the kumpir stands. Kumpir stand #6 is on the far right in this picture. Potatoes as big as your head! 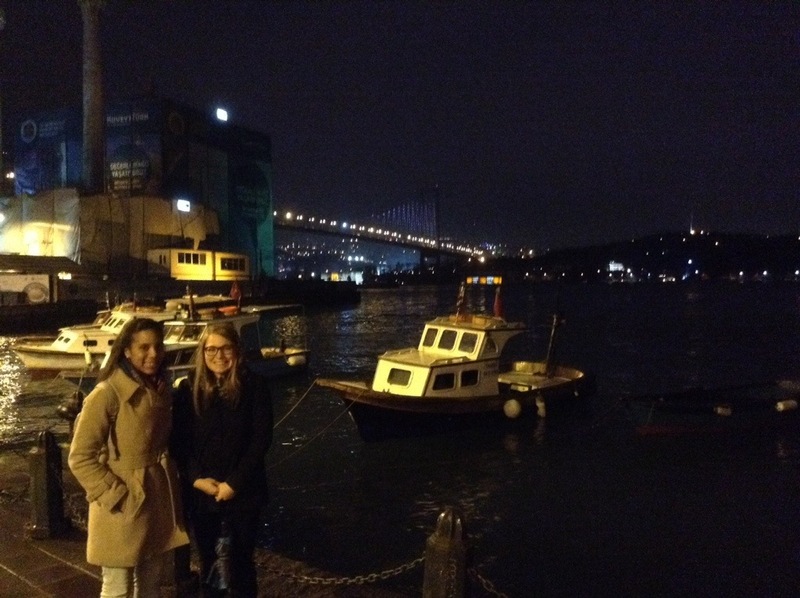 If you’ve read my blog before, you’ll known that I have thing for Cukurcuma, one of Istanbul’s neighborhoods. Art galleries, antique shops, and hipster cafes galore, it’s also the location of Orhan Pamuk’s Museum of Innocence which should not be missed if you’re a fan of the book by the same name. The destination this time was Cukurcuma Koftecisi (or, according to Google, Cukurcuma Meatball Restaurant). 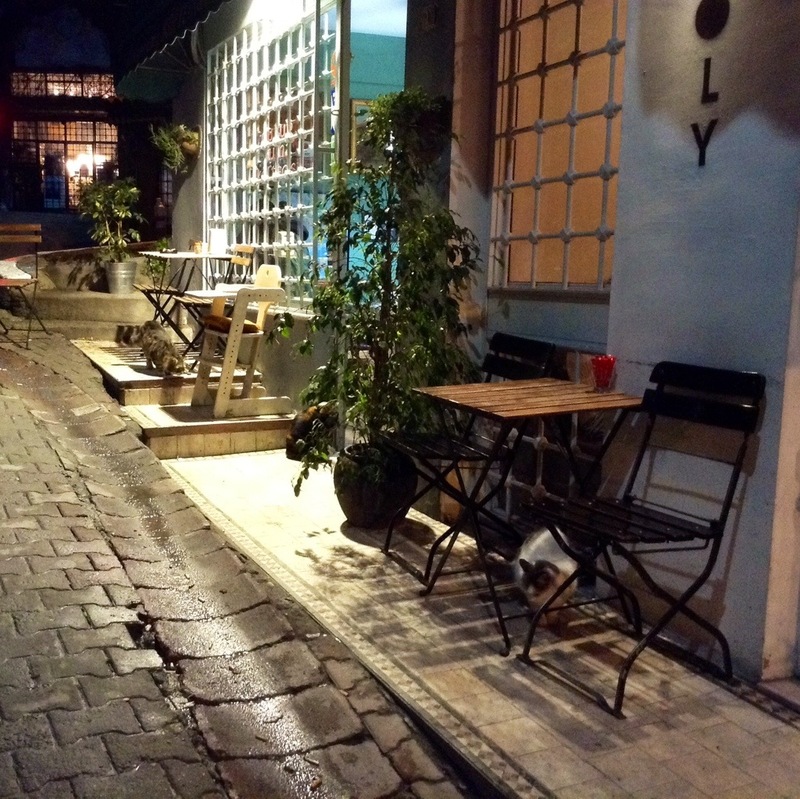 I first saw it on one of my many walks exploring Cukurcuma – it’s not far from Cukurcuma 49, a restaurant serving up yummy pizzas with local Turkish wine and live jazz music. I also checked out the restaurant’s website, and after seeing this fun quote featured on their homepage, I knew it was a place I had to visit. We went for an early dinner on a Saturday evening, and had the whole restaurant to ourselves. There’s no menu – the options rotate daily and you just choose from the day’s offerings. 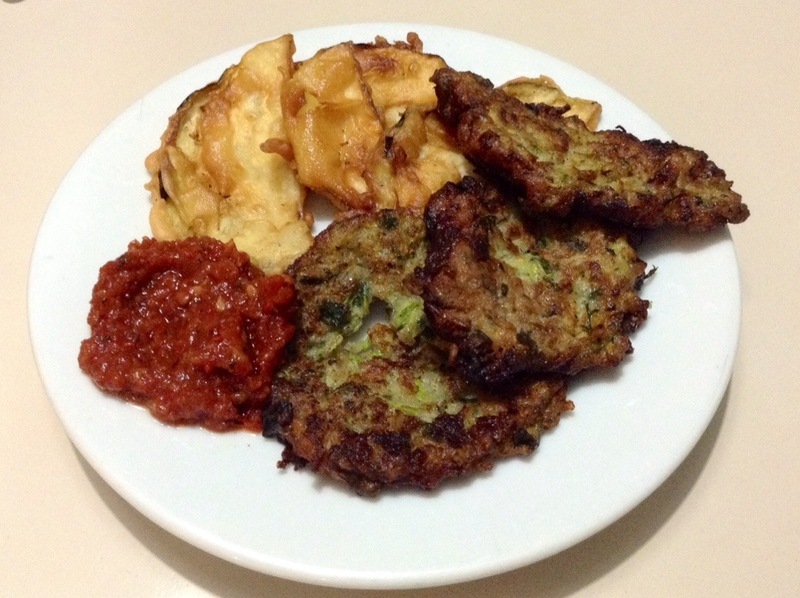 We ordered two portions of kofte (meatballs) and a plate of mucver (zucchini fritters) and fried eggplant which came with a side of spicy pepper sauce. 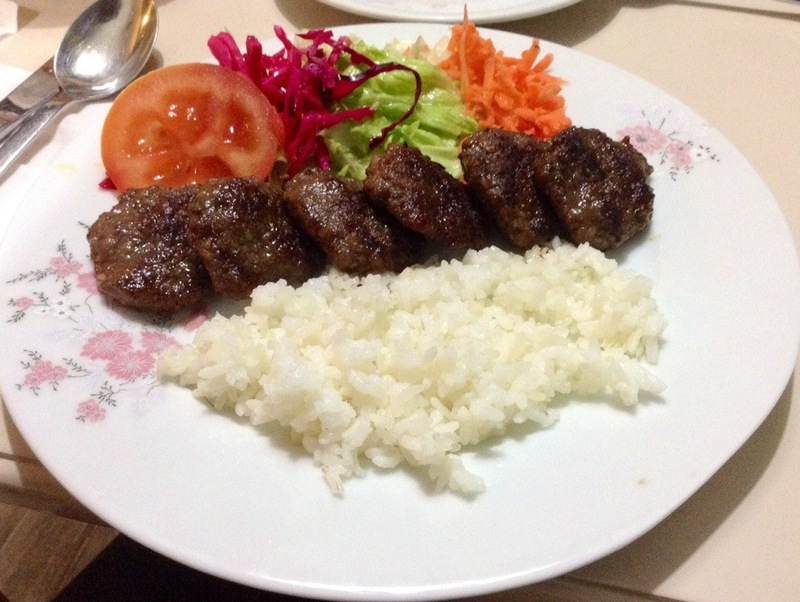 The mucver and eggplant were excellent, and the kofte were of the homemade variety. They were very tender and not at all like the kind you typically find in restaurants. My favorite thing, however, was the pepper sauce. It complemented everything perfectly. In fact, I was content to eat it all by itself until Gurkan kindly reminded me that I should save it for when the kofte came. While we ate, the mom of the family (looking lovely in her chef hat) prepared vegetables for the following day and the dad sat outside watching the dark streets of Cukurcuma and its passers-by. When customers came in, he took their orders and barked a few orders to the kitchen hand. Little rough around the edges but very helpful nonetheless. I’d say the website’s quote wasn’t too far off. In a neighborhood full of trendy (read: pricey) cafes and restaurants, it’s a relief to know this no frills restaurant exists. 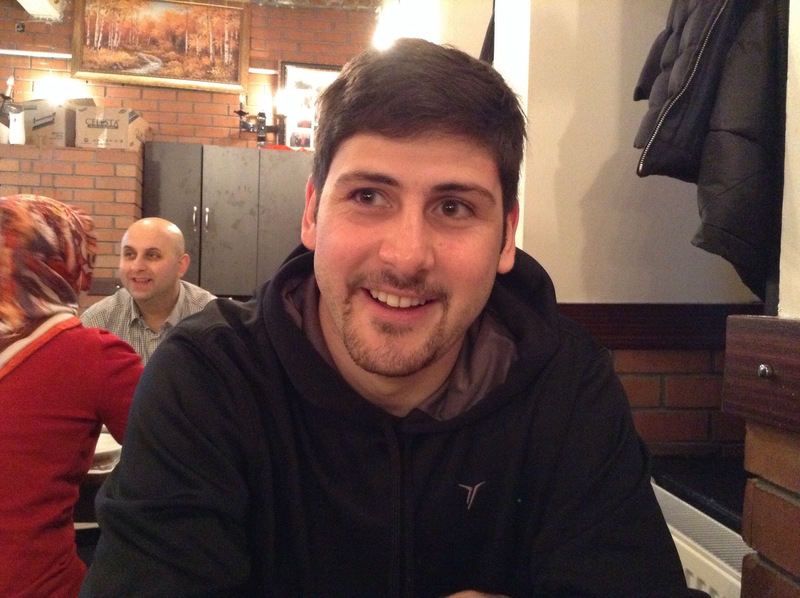 The restaurant (and the family who runs it) has a personality all its own and as Gurkan says, it’s the nicest esnaf lokantasi he’s ever seen. 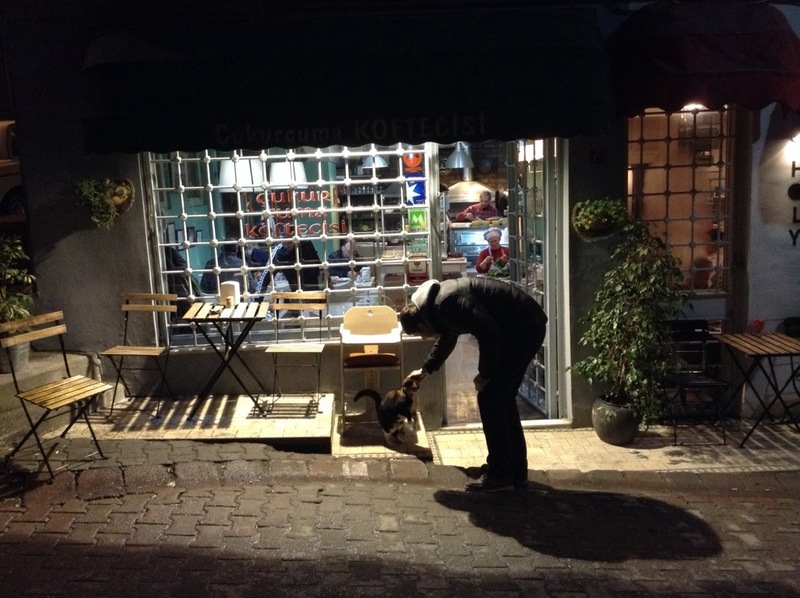 Gurkan petting the cats of Cukurcuma. If you look closely, you can see the mom preparing veggies. Just look for the white chef hat. The dark streets of Cukurcuma. Can you find the three cats? The only drawback? We went on New Year’s Day, and as usual, the place was busy. The waiters seemed a bit stretched and we didn’t get our second plate of fried onions we ordered until we were almost finished with the meal. 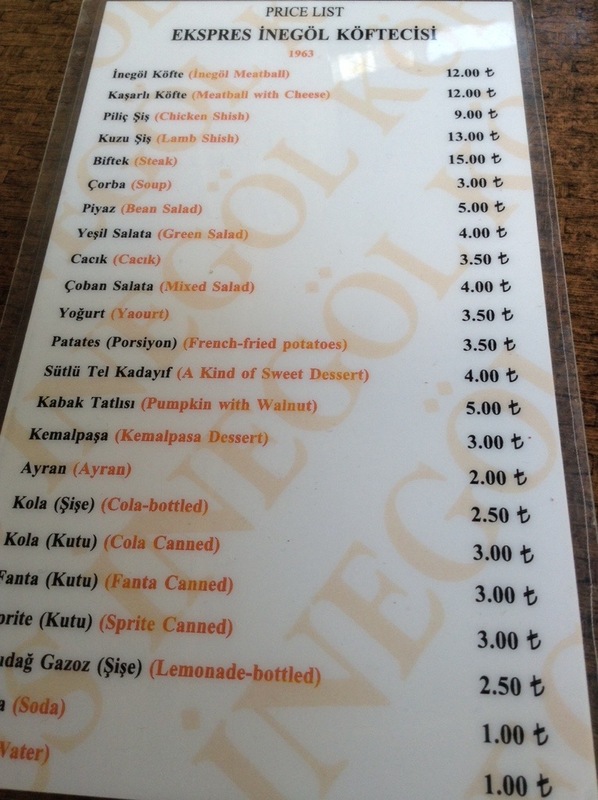 2 meals & 2 ayrans were a little over 40 TL. Not terrible considering the location. Our bellies were full and Gurkan’s craving for liver quenched. Mission complete!